You are here: Home / Digital Pianos / Which Digital Piano Has the Best Key Action? 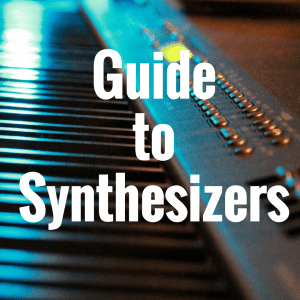 This article is aimed at teaching you about some of the different key action systems digital pianos have to offer, how to differentiate between them, and how to go about choosing which action (and by extension, which piano) might be best for you. Key action systems sometimes can be some of the lesser-known features of the digital piano, but many times can be the most important. 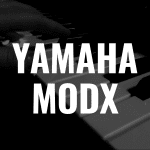 I’m going to help dive into some key aspects of these systems that will help you feel better about selecting digital piano (especially if it’s online and you unfortunately don’t have an opportunity to sit down at the piano bench and actually touch the keys). So to do this, we’re going to look at the different key action systems provided by some of the major brand manufacturers of digital pianos, including Casio, Roland, Yamaha, Korg, and Kawai. Before we break down the different key actions for major manufacturers like Casio, Yamaha and Roland, here’s a quick table that compares a variety of digital pianos based on not just on key action alone, but important factors like price, amount of keys, weight, and even average customer review rating. Before we go into some of the different hammer action systems provided by the major manufacturers, it is first important to understand what key action actually means. Key action deals with the touch, sensitivity, velocity, and many times hammer action strike of the particular keys on a keyboard. For those who are coming over to digital pianos from toy keyboards and cheaper offerings, this may be something new to you. 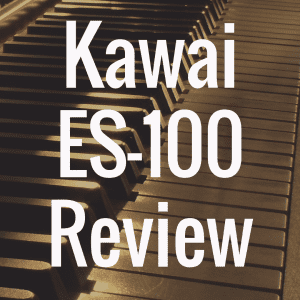 For those who are coming from a more traditional or classical piano setting, you will already be well versed in what this is. One term to describe these systems is that they are “scaled.” Scaled simply means that they reflect real pianos in that they have the heavier and bass keys towards the lower end of the board, with the treble and lighter keys going up to the higher end of the board. Another term or phrase that goes alongside this discussion of key action is what is often described as a “weighted digital piano.” The term “weighted” gives more of a general feel to the topic, whereas the key action or hammer action can be seen as more specific. But it’s all essentially the same—an action or mechanism inside the piano and keys that allows for the player to feel like they are playing on an acoustic piano. In fact, “hammer action” specifically refers to the systems manufactured by piano companies that correspond to real life hammers in actual pianos. These hammer action systems are developed to different specifications, as many of them have sensors and other things to help measure the velocity with which it is being struck. In other words, if the key action mechanism inside the piano you buy determines how weighted the keys feel when you depress them to play, then touch velocity inside a digital piano determines how loud each actual note sounds based on how hard you strike the key. All in all, the point of having these systems is to make the keys on the digital piano feel as real as that of an actual piano, as opposed to the flimsy, plastic keys that come on other digital instruments. With that said, there are some people that don’t want a lot of weight under their fingers when playing a digital piano. These are usually people that are working in a studio setting or are dealing with synthesizers. In the end you have to find something that suits you best. Let’s begin with Casio. 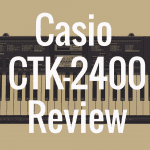 Casio is one of the more trusted options on the market when it comes to digital pianos, and the engineering behind their machines can always be counted on. 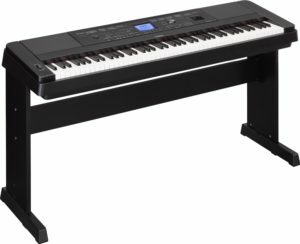 Casio mainly has two options for hammer action pianos: the Tri Sensor Scaled Hammer Action Keyboard I & II. This hammer action system works so well because it implements three different sensors under every hammer, instead of the conventional two sensors. This is perfect because it allows each note to be pressed more than once without the key having to return to its original position. 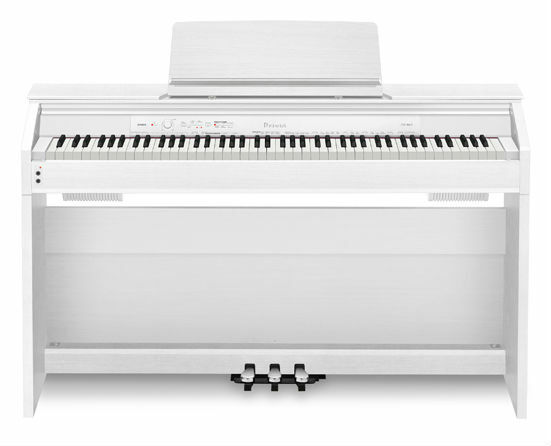 The first generation is based mostly in Casio’s upright digital piano series named CELVIANO, which contains pianos such as the AP 250, the AP 420, and the AP 650. The second and upgraded generation of the system is featured mostly in Casio’s Privia line, which features the Privia PX 130, PX 150, PX 350, PX 750, and PX 850. This collection of pianos represents some of most trusted slabs and uprights on the market, and the hammer action behind them is a big reason why. Yamaha is another company that has great engineering. Yamaha has more experience–since they have a long tradition of grand pianos–that they have been able to develop digital hammer systems that are well liked by the public. 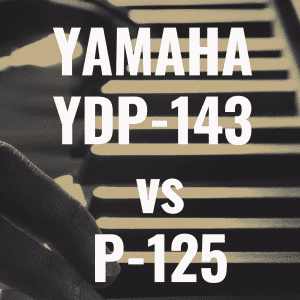 Graded Hammer Standard is the key action you will find on many Yamahas, like the Yamaha P 105, the DGX 650, and the Arius YDP 142. 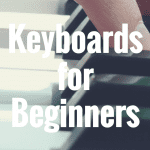 This key action is much more ideal for beginners that want and need a graded and weighted feel to the keys so that they can begin to get an idea for what it must feel like to play on an acoustic piano. This is a perfectly fine hammer action, it just doesn’t come with all the acute accuracy provided in the GH key action (but then again, if you’re not in the intermediate to advanced level, it’s irrelevant right now. Don’t even worry about it). As for Graded Hammer Effect, a lot of Yamaha pianos that feature GHE are discontinued (such as the Yamaha P80 or the Yamaha P250), but many still feature the GH (Graded Hammer) in their keyboards. Be it GH or GHE, this is a premium weighted action that provides intermediate and advanced players with top notch accuracy when it comes to repetitive passages. Some pianos that feature the GH are the Yamaha P255 (from the Contemporary line) and the Yamaha YDP-S51 and Yamaha YDP 181 (from the Arius line). The next step up in Yamaha key action is the Graded Hammer 3—and this is considered to be a bit of a higher standard. It’s actually very similar to the GH, but this hammer action swings back faster in a fashion resembling that of high-end acoustic pianos. This action mechanism can be found on many of the models from Yamaha’s Clavinova lineup, including the Yamaha CLP 440 and Yamaha CLP 525. Lastly, Natural Wood keyboard refers to keys that are all cut from the same hunk of wood (well, the white keys at least) to completely replicate the feel of a grand piano. This keyboard actually has the same overall structure as the GH3 keyboard, but you get the special bonus of having your white keys be made of wood, just like an acoustic piano. Some Yamahas that feature Natural Wood are Yamaha CVP-609 from the Clavinova Ensembles line and the CLP 545, CLP 575, and CLP 585 from the Clavinova Traditional lineup. Roland has had a number of different progressions with the key action systems they provide, and many of these systems will be recognizable to users because of Roland’s great history and past success. The main base of Roland’s system is called the Progressive Hammer Action (PHA) system, which tries to emulate the natural touch and response of a grand piano. This key action system is sometimes complemented by something called “escapement,” which models after a real grand by adding the “click” that you would hear while playing pianissimo on real models. This key action system has progressed over the years with the Progressive Hammer Action II & III. Many of the newer models of Roland digital pianos come with systems called Ivory Feel G and Ivory Feel S, and many times these can be confused as further progressions in the PHA series. However, this is untrue. The Ivory Feel G is actually just the Progressive Hammer Action II system, but only with synthetic ivory key tops to replicate the feel of actual ivory keys. The case is the exact same with the Ivory Feel S system, except that system corresponds to the PHA III. 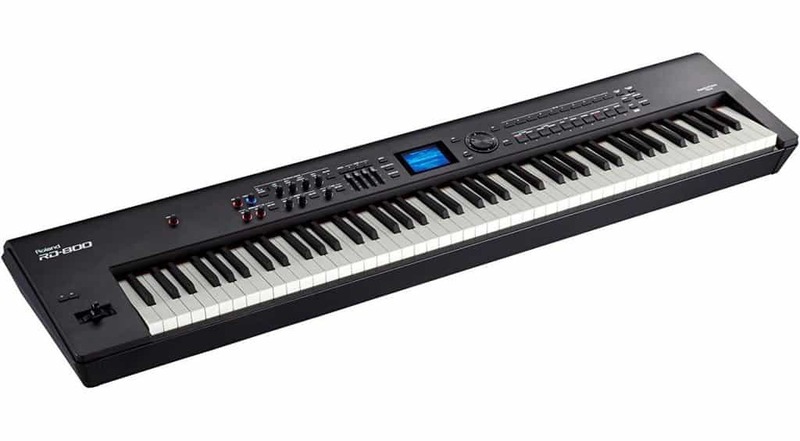 Models like the Roland RD 300NX use the Ivory Feel G keyboard, while more famous models like the Fantom G8 uses the PHA II key action. How to Compare Key Actions? Once again, sometimes it can be hard to compare some of these systems, since people are always going to be looking for a specific touch that suits them. Another hurdle (that is certainly relevant to some piano critics) is that sometimes it may seem that the great number of hammer action systems out on the market are just marketing ploys. In essence, they are all basically the same and there isn’t much difference to them. I’m not exactly sure how I feel about it, as all I can really account for is how the keys feel when they are under my fingers. So for a true take on some of the key actions I feel are the best, I would definitely have to start with the Casio Privia line. I know for a fact that these are some of the best pianos I have had a chance to play, and certainly the Tri Sensor Scaled Hammer Action II system has been a big part of it. I love the way they feel, and the response of the keys is fast and weighty, but not overbearing. I also have not noticed any damaging clicking sound that some hammer action systems seem to develop over time after lots of use. When comparing across the board, it really comes down to what you are looking for. In my opinion, the Graded Hammer Standard series is a great and dependable option, and would be more on par with systems such as the original Progressive Hammer Action system and the first Tri Sensor system. When moving up in capability, you really see a jump when you start to feel the Graded Hammer II or the Tri Sensor II system, which I believe the Ivory Feel G keyboard is also on par with. And when you start stepping up to the grand piano-like models, you will deal with systems like the Graded Hammer III system or the Ivory Feel S system. I will say, however, that if I was in a studio setting, or simply wanting to work with a controller, I would prefer not to have any action at all. It may sound strange, but in those type of settings I just want simple keys with touch sensitivity behind them, instead of key action. In the studio or producer setting, I would be more focused on getting the production to the software, and having the ability for my fingers to be as fast as possible. However, if you plan to play the piano for a long while, or you want to work with a teacher to become the next great pianist, it’s vitally important to find a digital piano that has a great key action mechanism. The truth is that there are a lot of great options from a lot of great manufacturers. And there’s no clear-cut consensus pick. But hopefully, this article has helped narrow down the list for you, and remove a bit of confusion and doubt from your mind. 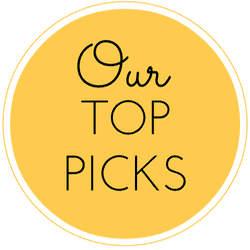 For more in-depth reviews of digital pianos, please bookmark our homepage.